BRUSSELS, Belgium -- Much has been said about the sins of Ukrainian President Viktor Yanukovych. 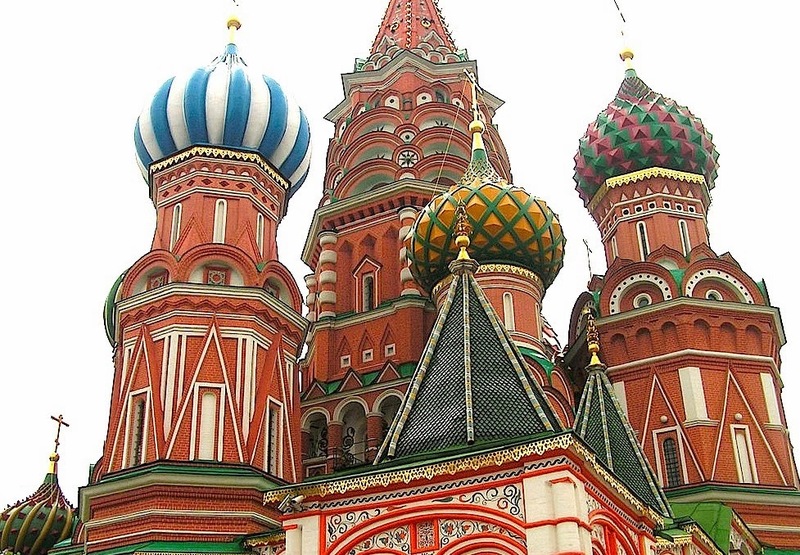 They key to pan-European unity lies in Moscow. Even before the Vilnius debacle, where he refused to sign an EU treaty, and before his bailout deal with Russia, his authoritarian ways at home and his erratic foreign policy were the subject of hundreds of studies, op-eds and columns. He misled the EU and the Ukrainian people. He even misled his own administration and his political party, the Party of Regions, on his EU plans. The mass protests have shaken his grip on power. With about 20 percent approval, his chances for re-election in 2015 look dim. If he makes the wrong move, he might even be forced out of office before the vote. But despite his aberrations, some of the Yanukovych criticism is misguided. It may look from the West as if Yanukovych and his clan are simply crooks. But this is not the whole story - the political realities in former Soviet Europe are more complicated. Most Western countries enjoy the luxury of being economically independent, of making sovereign political choices, and of having decent institutions and military security. But Ukraine is located in one of the northern hemisphere’s most unstable regions. Former Soviet states play host to several unresolved conflicts. They have seen a series of bloody civil wars in the past 25 years, often with Russian involvement, and are now struggling to contain a resurgence in Russian imperialism. Russian leader Vladimir Putin’s new project - the “Customs Union,” to be followed by a “Eurasian Union” - is designed to re-create a Greater Russia with a powerful voice on the world stage. It is also designed to distract from his failures at home. It puts the spotlight on Putin as a new gatherer of lands, who put Russia back on par with the US or China. It hides Putin the unremarkable manager of a corrupt administration, a stagnating economy, and a deeply unequal society. Ukraine’s entry into the Customs/Eurasian Union is vital for this exercise in Russia’s collective escapism. And it is already being implemented via a multitude of channels of influence between Moscow and Kiev - political, economic, academic, and cultural. Meanwhile, the history of Russia-Ukraine relations is complicated. On the one hand, cultural similarities and shared memories of the Nazi invasion and the Stalinist terror create a bond between Russian and Ukrainian people. But on the other hand Tsarist Russia and the Soviet Union’s centuries-long campaign to suppress Ukrainian identity creates alienation. Much Western criticism of Yanukovych overlooks some or all of this. During the Cold War, there was a saying in Western Germany that the key to German unity lies in Moscow - the occupying power in the then Eastern Germany. The same can be said now about the future of pan-European unity. Instead of bashing Yanukovych, the EU needs to find a way to tackle Putin. To some degree, Yanukovych behaves the way he does because he has few other options, and whoever succeeds him as Ukraine’s leader will face similar challenges. Even if the country’s next President is as pro-European as virgin snow, they will have to battle Russian resistance to EU-Ukraine integration. Russian economic sanctions would hit Ukrainian factories which export goods to the Russian market, many of which are located in eastern Ukraine, Yanukovych’s last bastion of political support. The Kremlin’s temporary customs blockade on Ukraine last August instilled fear in hundreds of thousands of Ukrainian workers and their families. But the odd part of the story is that Russia's largest economic partner is, by far, the EU. About half of Russia’s international trade is conducted with the Union’s member states, and three quarters of the foreign investment in Russia comes from EU firms. Meanwhile, German, Dutch, French and Italian payments for Russian raw materials - in particular gas, oil and coal - fill Putin’s war chest in the fight against EU encroachment. The European economy is much less dependent on Russia than some people think. Even when it comes to gas supplies, the EU-Russia reliance is mutual, if not tilted in favour of the consumer. Russia has few ways to sell its gas elsewhere. It has the largest conventional gas reserves in the world, but most of its pipelines go West, while novel export routes are nowhere near mature enough to substitute for the European market. Without the EU’s raw materials and energy money, Putin would have problems paying salaries, rents or stipends. Russia’s largest company, Gazprom, would fail. In this light, the Kremlin’s sabotage of EU-Ukraine relations looks increasingly bizarre. Russia is playing hardball with an entity, the EU, on which Russia itself relies. But instead of using its considerable leverage on Russia, the EU is trying to tackle the Ukrainian problem by putting pressure on Yanukovych. Instead of confronting the real issues, the EU is spending its time mumbling support for the Euromaidan, or repeating its mantras on freedom of association and human rights. Part of the answer seems to be intellectual laziness. Another part is European quietism. Europe's politicians tend to abhor confrontation and to think they can solve the world’s problems by mediation and compromise. A third part of the answer is the network of cozy relationships which includes many European and Russian corporations and, sometimes, prominent European public figures. Just ask Gerhard Schroeder, the former German chancellor, who now works for Gazprom and who helped build Nord Stream, the Baltic Sea gas pipeline bypassing Ukraine, which increases Moscow’s leverage on Kiev. Or ask the CEOs of the EU firms in the consortium which is building South Stream, another Russian pipeline designed to drain power from Ukraine. For sure, a full blown EU trade war with Russia could cost Europe dearly. The EU would have to restructure its energy supply grid. But there is plenty of reason to believe that such a confrontation would never take place. A simple, but serious, warning on EU trade sanctions would make the Kremlin think twice before risking severe budgetary and economic instability. Meanwhile, avoiding confrontation has its own cost. While Brussels criticises Yanukovych, Russia continues its destructive interventions in the EU’s closest neighbors. Worse, Putin’s Eurasian Union is a recipe for decades of instability. Russia itself does not have a sustainable economy or a functional administration, but it is trying to rebuild vast swathes of eastern Europe, the southern Caucasus, and central Asia on its own dysfunctional model. There is an even more dangerous scenario. If Yanukovych caves in to Putin and, de jure or de facto, joins Russia’s Customs/Eurasian Union, many Ukrainians, especially in the west of the country, will not accept it and the Euromaidan could turn into something much more volatile. The rejection of Russian hegemony, in places such as Galicia, Volyn or in Kiev itself, could tear Ukraine apart. Precious time and opportunities have already been lost by the EU because of its inconsistent dealings with Russia and Ukraine. EU capitals must now decide if they really want to be “partners” for Ukraine and for the other EU aspirants in the region, above all Georgia and Moldova, or not. The EU itself must make the “European choice” it is so fond of lecturing its neighbours about. If the decision is Yes, then EU leaders and EU institutions need a coherent policy, a robust diplomacy and, ultimately, the political will to confront Russia in order to succeed. Great article! Love it. Very thought full and straight forward.